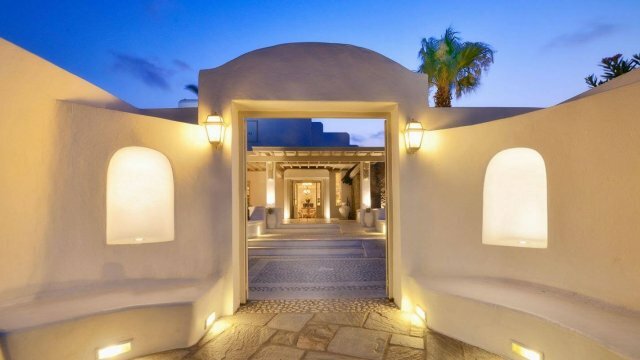 Imagine getting out of your beach house, making a footstep and feeling the warm sand above of your feet, the luxury to have your own private pool and terrace just a breath away from Agios Ioannis beach. Welcome to Bill & Coo Coast Suites! 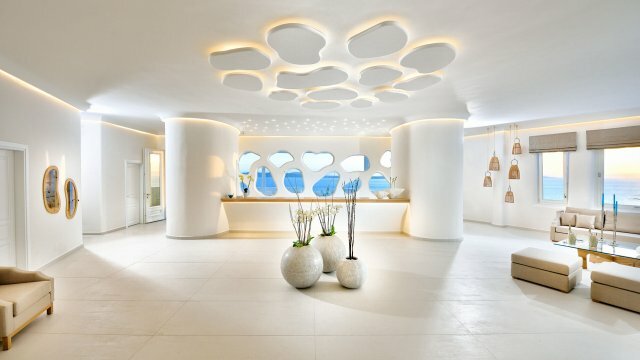 A beachfront, luxury, 5-star hotel in Mykonos escorts you into a world full of joy and harmony. 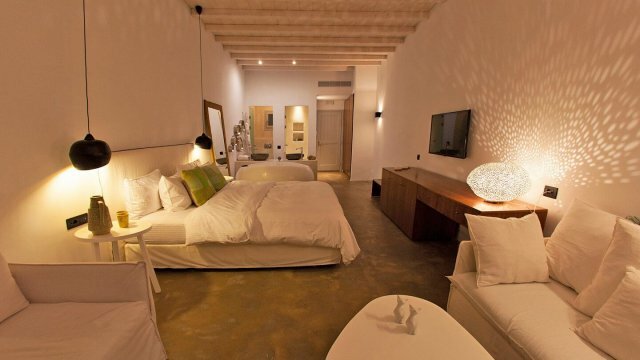 Quite rooms that give you tranquility and make you feel blessed and relaxed. 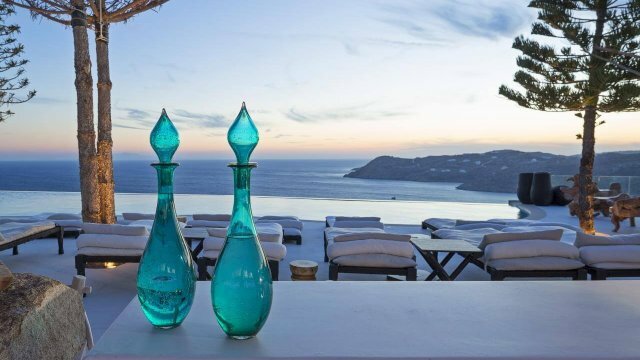 An amazing sunset completes an already picturesque landscape as you looking this miracle of nature and enjoying in the same time a delicious dinner at the seaside restaurant Taverna. Modern decoration and extra lighting in the suites are bonus gifts in large spaces with pale colors and fine textures on the huge beds. After having a refreshing, satisfying good night sleep start your day with a fine, typical Greek breakfast or you have the choice between American or Bill & Coo Coast breakfast either at the restaurant or in the privacy of your suite. And just to go the extra mile to satisfy you, Bill & Coo Coast Suites’ team will take you on a culinary journey in the Mediterranean coasts with excellently made delicacies and the chance to enjoy a meal prepared and served by a private chef for you exclusively. To close a magnificent day book a special treatment designed for your needs in the spa area with Valmont expertized products and the care that only professionals can give. 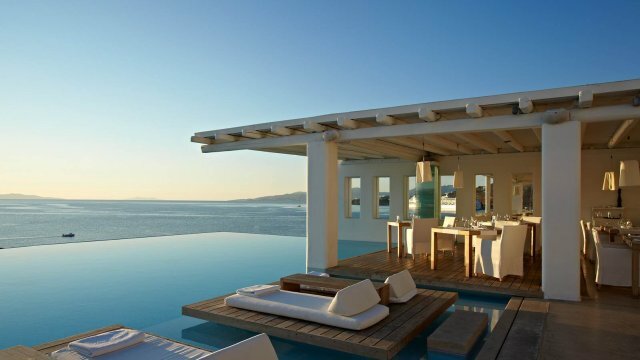 Anax Resort & Spa Mykonos is a true revelation in Mykonos island. Its name declares charm, royalty, and elegance since “Anax” means in ancient Greek “King” and was a special title given to the most capable leaders. 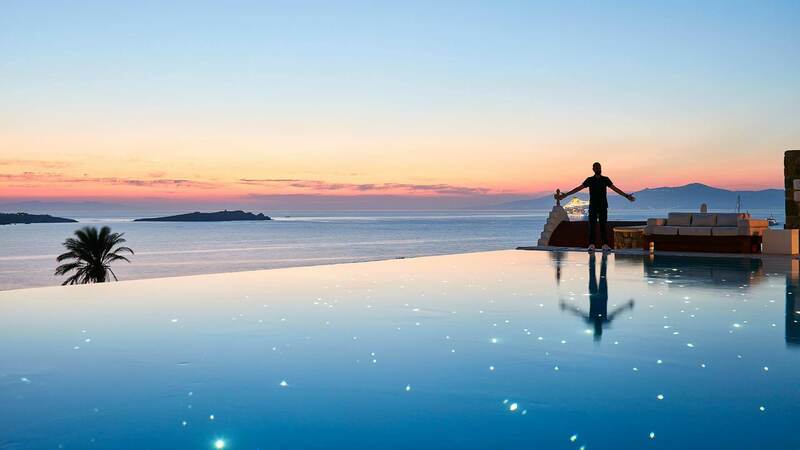 A lost paradise in deep Aegean blue waters is one of the younger children of Myconian Collection famous hotel and resort hospitality chain, Myconian Utopia. A marvelous resort newly built to continue the fine reputation of a legendary hospitality empire. 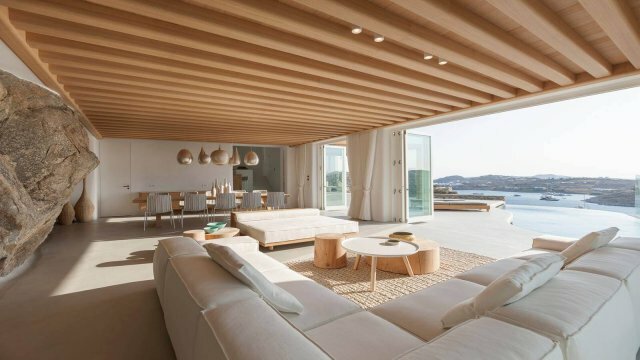 Cavo Tagoo Mykonos is continually welcome people from all over the world each year in order to make them believe that the rumors are true…yes, there is such a place in Mykonos!